Superior wisdom, lifestyle counseling, and consulting dispensed from under the bed. This is a pleasant product which works at lessening dark circles under the eyes. 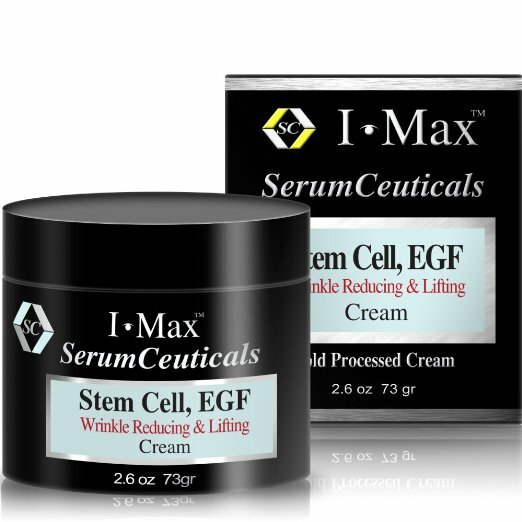 It is also recommended to improve wrinkles and puffiness. We have tried this and we do like it, although we have not been able to determine if it actually does what it says it will do. We can say that it is NICE stuff to use around your eyes. 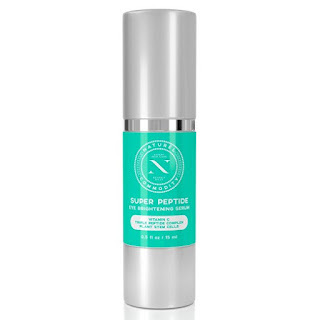 It comes in a pump container, and our main complaint is that the pump puts out TOO MUCH PRODUCT, especially for a serum that costs about $100 per ounce! Each pump puts out more than can be used on two eyes. So far I've been adding the extra to the smile lines around my mouth and any dry areas elsewhere on my face. Miss Emmy is nothing if not gracious. Goodness gracious, what kind of HRH would she be were she not gracious? Just to demonstrate, she is ALLOWING her human to make a post here, on her royal fan page. Just this once, or maybe more often, if it means she does not have to type so much with her pretty paws. Miss Emmy's human writes: "The Bicycle Pack by Jumaxis this set has everything I needed, plus a bit more. My husband and I have recently started riding our bicycle through the neighborhood in the evening, when the temperature starts to cool. By the time we're coming home, it's getting dark and I begin to worry about visibility. Although we have reflectors, we did not yet have lights on our bicycles. 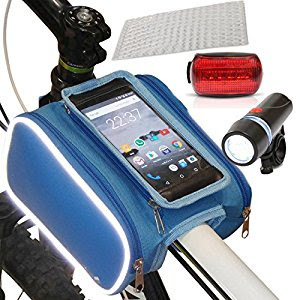 Plus, I thought we should carry cell phones in case of any problem or accident, but neither of us had a safe place to put the cell phone on the bikes. (As it gets cooler, we can wear jackets with pockets and that WOULD solve the problem, but in HOT weather we were lacking decent, safe pockets). This set contains a very sensible tube-mounted zipper bag system with a cell phone slot which makes glancing down at GPS or maps very easy. And of course, in a pinch, an emergency call is quick to make. The phone is protected by a plastic screen which is touch-sensitive. So it won't get wet or ruined in the rain, but you can still operate the touch screen. There are zipper bags on either side, so you can also bring along other necessities... granola bars, first aid items... whatever you might need. Then there are the front and rear lights which make you much more visible. And just for fun, Jumaxis throws in a sheet of reflective stickers. These can be used on your wheel edges, bike frame, or even your helmet. Instead of having to shop for each of these things individually, just what you need comes in one handy package. 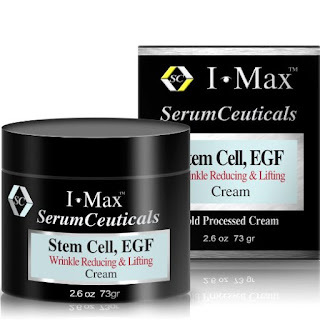 Jumaxis provided this sample set for me to try and review, and right now it's my favorite thing -- my opinion and rating is not affected by receipt of the product. Plus, when I had a question about how the cell phone fits inside the pocket, I received an email reply right away. I would like to thank Miss Emmy for allowing me to express my opinion here on her royal page. She also kindly allows me to brush her daily and feed her special food. I am truly blessed. A little vision help, please? It is a sad fact of life that as we get older, it gets harder for us to see. One of my humans wears glasses all the time, and the other just uses what he calls "readers." I have never heard these reading to him, so he must be a bit confused. But, at any rate. Both humans apparently need some help under some circumstances. Miss Emmy advised them to try these "Fresnel Lens Plastic Magnifying Sheets," because they look so fun and also come with bonus free thingies. First of all, when we ordered we automatically got a second set for free. 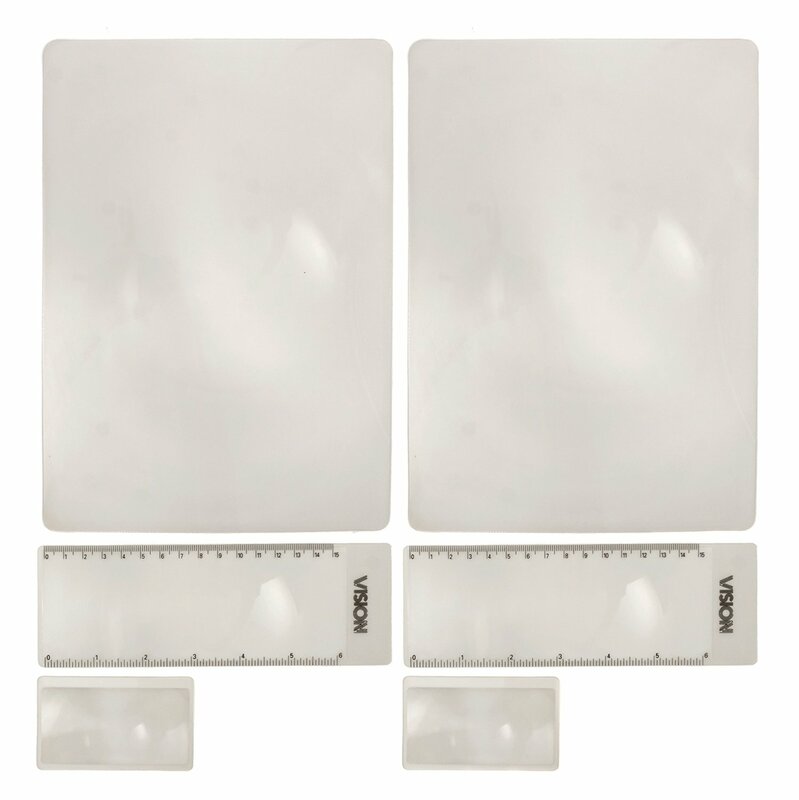 Each set contains three lenses: a 7.5 X 10" Full page magnifier, a bonus pocket magnifier, and a ruler magnifier. 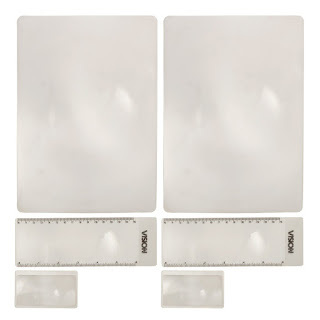 The full page magnifying sheet magnifies 300%, which is excellent for reading newspapers, magazines, tiny classified ads, maps, and more. The medium-sized (ruler) lens is perfect to stash with the bills and the checkbook in your desk, and my humans even use it as a shield when writing self-duplicating checks. The smallest lens will fit in your wallet or purse (just like a credit card), so you can whip it out and use it to scrutinize those tiny ingredient labels in the grocery store, or, in a pinch, focus the sunlight and start a warming fire in a *survival* situation in the woods (Miss Emmy does not approve of arson, so DON'T DO IT). Emmy Dickins graciously shares her inordinate wisdom on many topics relating to how she has trained her human to manage her home. Please join her here often and offer your thoughts on what she purrposes! Emmy Must Do More Research!